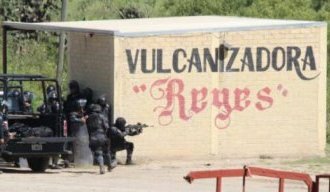 The Mexican government followed through on its threat to use force against striking dissident teachers. Mexican police attacked teachers striking against neoliberal education reforms in the southern state of Oaxaca, killing at least nine people and leaving dozens more injured, teleSUR Correspondent Fernando Camacho reported on Monday. Police were attempting to evict teachers from a road blockade on the Oaxaca-Puebla highway in the municipality of Nochixtlan when gunfire erupted, leading to violent clashes that lasted approximately four hours. Teachers from the dissident CNTE union, also known as Section 22, had set up the blockade as part of protests over an education reform implemented by President Enrique Peña Nieto and the arrest of several of the unions’ leaders over the past week. In a press conference from the Mexican capital, a spokesperson for the union said the dead included Andres Aguilar Sanabria, 23, and Santiago Jimenez Aylin, 28, who have been identified as trainee teacher students. The spokesperson said there was a third fatality but did not provide any details. The union spokesperson blamed the police forces who participated in the eviction for the three deaths, calling it an “attack,” and asked the government to engage in dialogue with the striking teachers. The death toll of five demonstrators was later confirmed by the public prosecutor’s office in Oaxaca. Meanwhile, Proceso magazine reported six deaths while the CNTE themselves later reported nine. Mexican investigative journalist Sanjuana Martinez has called the government repression a "hunting" that seeks to eliminate dissents who oppose the education reforms. Police said that at least 21 people had been arrested. 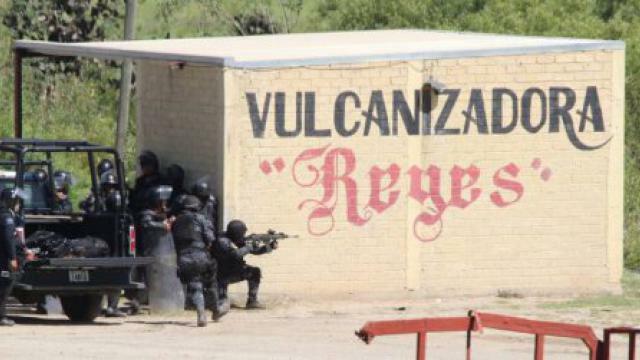 Users on social media said that dozens of the injured were left untreated after the police seized the hospital in Nochixtlan and only allowed injured police access. Injured demonstrators were reportedly treated inside a nearby church. Another clash between demonstrators and police took place in the city port of Salina Cruz, in Oaxaca as well, where another group of teachers were blockading a road that connects the state with its neighbors on the Pacific coast. Local media also reported dozens of injured protesting teachers and dozens of arrests, however authorities have not said anything on this case. Renato Sales Heredia, national security commissioner, warned last week that the government would use force to repress mobilizations by striking teachers and their sympathizers. In Mexico, common protest tactics include shutting down major highways or staging protest camps in front of government offices. Before Sunday’s events, hundreds of academic, religious, popular, student, human and social rights organizations around the world signed a document Friday that condemned the “brutal repression” exerted by the Mexican government against teachers who reject the education reform by President Enrique Peña Nieto. Peña Nieto unveiled an education reform in 2013 as part of a set of 11 neoliberal reforms implemented in his first 20 months of power. The controversial law imposes teacher evaluations in order to determine which applicants will be chosen to fill open posts in the public school system nationwide. Critics say the testing only justifies mass layoffs and does not effectively measure teaching skills, like the special knowledge and demeanor needed to teach in rural areas and Indigenous communities.